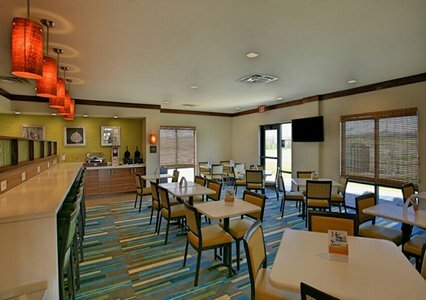 Below are a few examples of some Choice Hotels projects we have worked on. 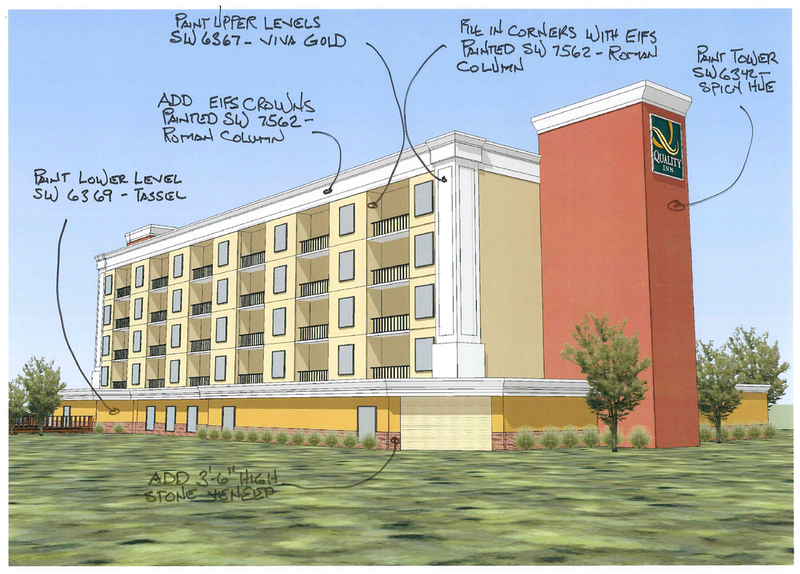 For our complete list of Choice Hotels projects, click here. 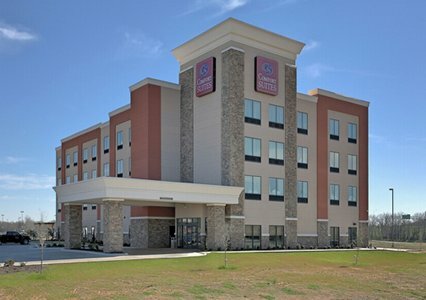 This project was a new 4-story, 82 guestroom Comfort Suites hotel located in Bossier City, Louisiana. 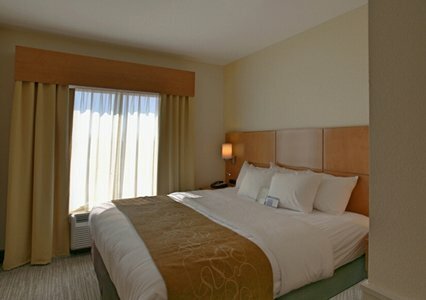 The Comfort Suites Bossier City hotel offers a wide range of amenities to guests including a Business Center, Exercise Room, Indoor Heated Pool, Meeting Room, and Sundry Shop. RAMAKER performed the design for this entire new hotel. 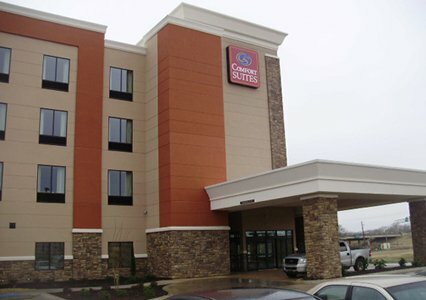 The Comfort Suites hotel in Coralville is located a few miles from the University of Iowa and the Iowa Children’s Museum. This three story hotel includes a heated indoor pool with a water slide as well as an indoor whirlpool/hot tub. There is also a fitness center for guests to use. RAMAKER has been chosen by Choice to provide Site Yield Analyses for Franchisees/Prospective Franchisees. 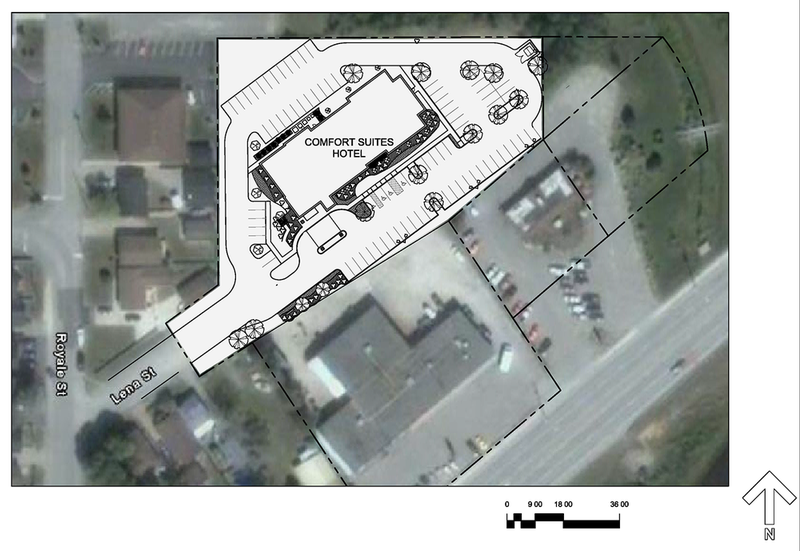 These studies are for conceptual purposes only, but are often invaluable in assisting the Owner with hotel fit/placement on a land parcel. Our designers have a wealth of experience in this area and can suggest needed changes that help the building conform to the site size and local ordinances. 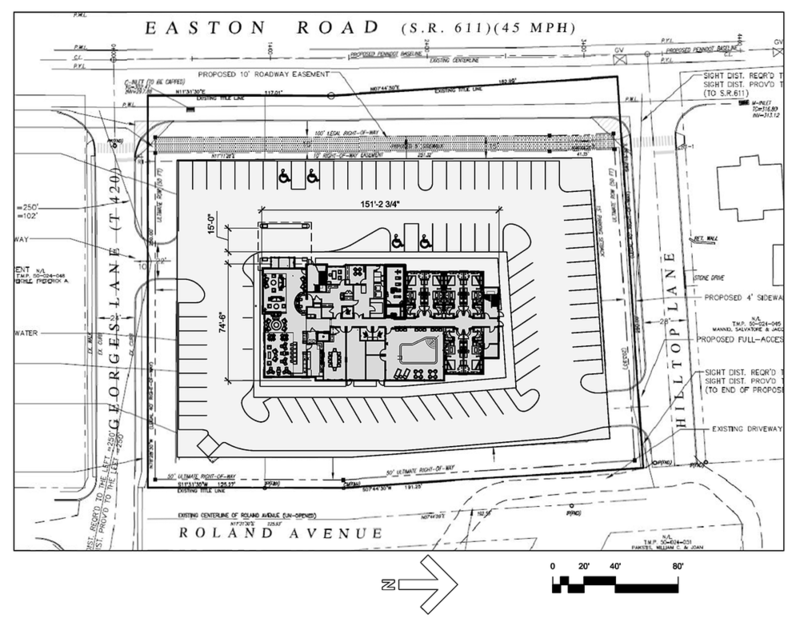 The Site Yield Assesments include a Site Plan layout (to include building footprint, parking/sidewalk layout, and dumpster location) and Building Floor Plans (to include first floor plan and typical upper floor plan layout per hotel brand’s prototypical design). 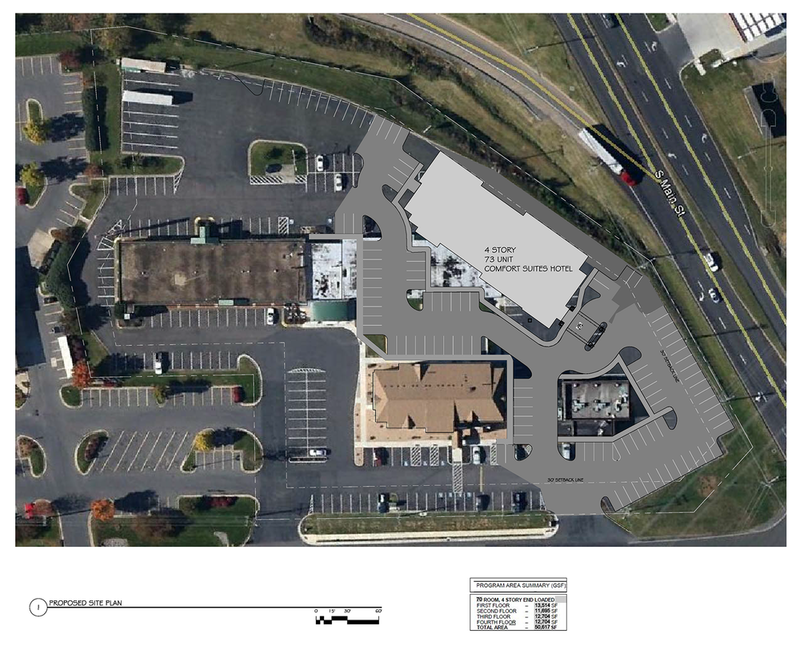 RAMAKER has been selected by Choice to provide Facade Enhancement Studies for Franchisees/Prospective Franchisees. This service can be particularly helpful in assisting the Client in their franchise-approved options for renovating the exterior of a current property. 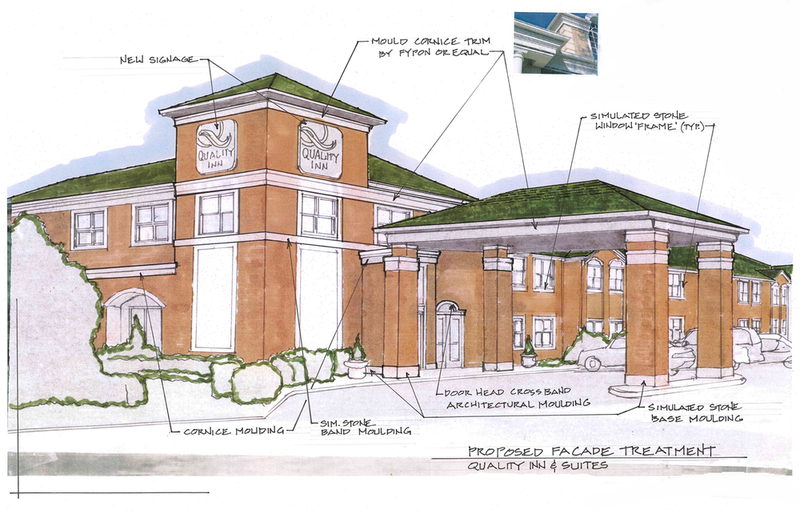 Facade Enhancement Studies include one artist’s rendering illustrating alterations, that could be made to enhance the appearance of the structure, in accordance with current brand standards. The rendering will be annotated to describe the recommended changes and give suggestions regarding materials and finishes.